Favorite New Cars for the ‘Y’ Generation. Toyota Camry has been one of the favorites of the ‘Y’ Generation for a long time now. The car is available in many models, such as CE, LE, and XLE. The basic model has a 2.2-liter engine, which generates 136 horsepower. It has all the necessary features, such as power-steering, power windows, air-conditioning and power locks. The car also has outstanding resale value. The new 2014 model of the Toyota Camry has special ongoing leasing, financing, and cash back offers. Honda Accord, one of the top competitors of the Toyota Camry, lines up second among the most popular cars for the ‘Y’ Generation. The car is available in different models, such as DX trim, LX, and EX. The standard DX trim has a 2.3-liter engine which generates 150 horsepower. The Honda Accord is popular for its strong body, strong brakes, comfortable seats, generous storage space, and incredibly spacious interior. Visit Honda’s site to view all the latest offers on the new models Sedan, Coupe, and Hybrid models of the Honda Accord. BMW has a long legacy of making ‘the ultimate driving machines’. The 3-Series definitely is a driving machine and has an outstanding resale value. Equipped with a 230 horsepower engine, which is capable of giving you an average of 18/28 MPG (city/highway). 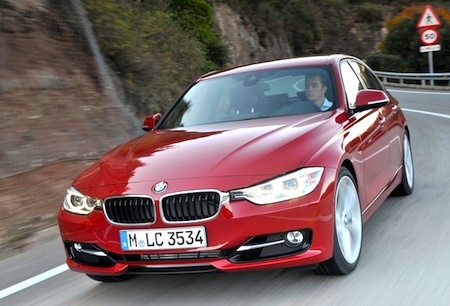 Many Millennials prefer the BMW 3-series because of its compact size and excellent maneuverability. Honda Civic is a car which has been rocking its way since the early 90s. The seventh-generation Honda Civic continues to define the segment as its bestseller. The basic DX models of the Civic have a 1.7-liter engine which generates 115 horsepower. The car is highly fuel-efficient and affordable, which is why it is lists itself among the favorites of Millennials. The luxury Lexus LS 460 was one of the first cars introduced in the US that could park itself. The car is highly fuel-efficient and has great resale value. Equipped with a 380 horsepower engine, which is capable of giving you an average of 16/24 MPG (city/highway), the car is true to its status, and proves to be worth the price. The Volkswagen Golf is one of the top cars favored by Generation ‘Y’. It certainly is a much compact car when compared to the cars mentioned above. However, it provides great budget performance and proves to be a fun car to drive, due to its good maneuverability and fuel-efficiency. These are still regarded as some of the most successful cars due to the fact that they offer durability at an affordable price. Of course, the features offered in these vehicles are also topnotch which made them popular among the ‘Y’ generation.